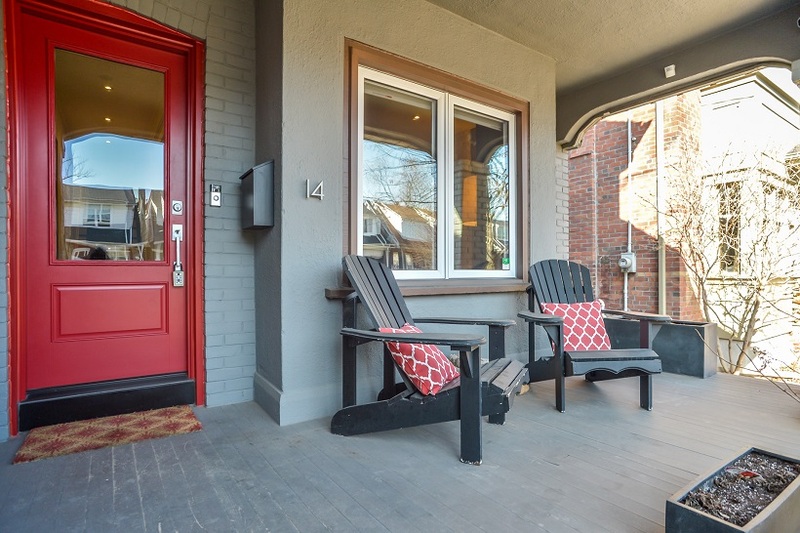 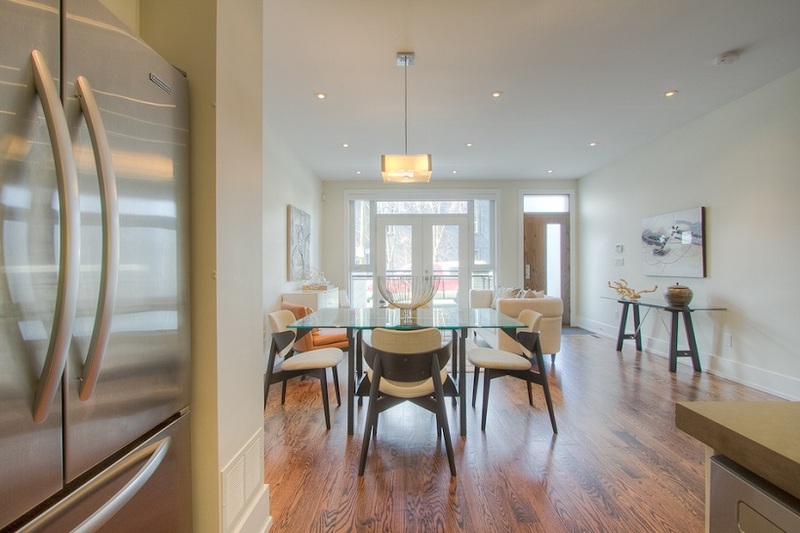 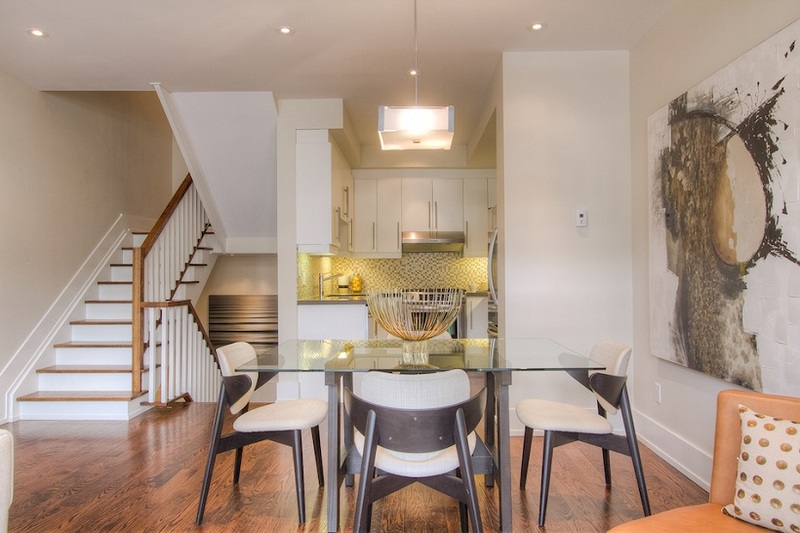 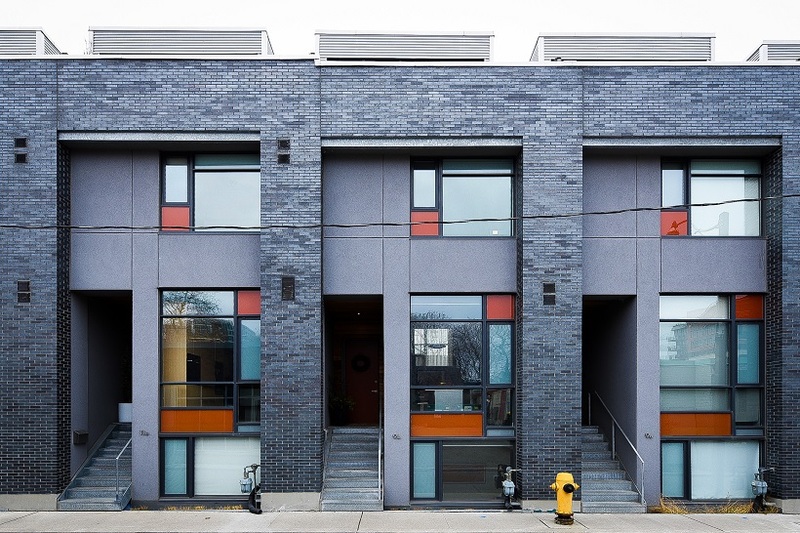 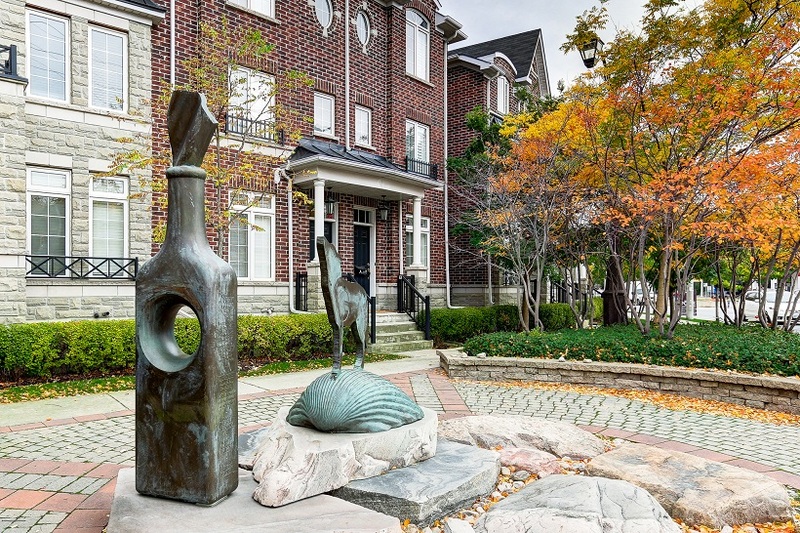 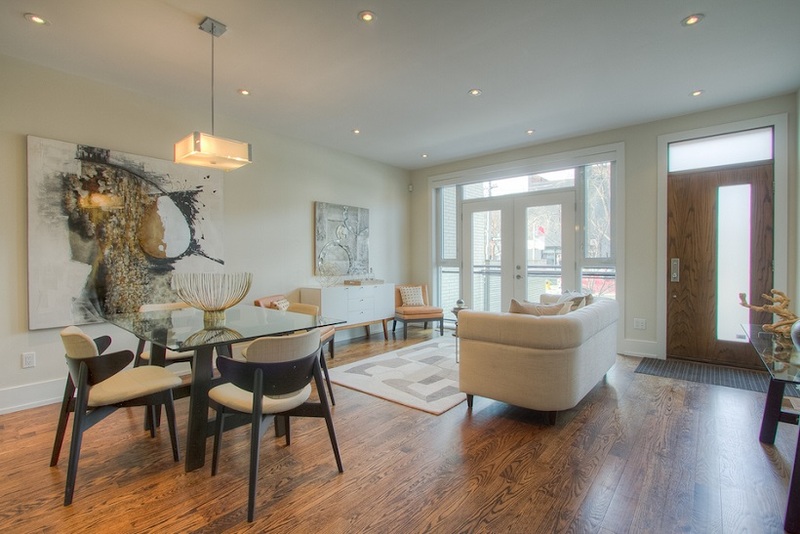 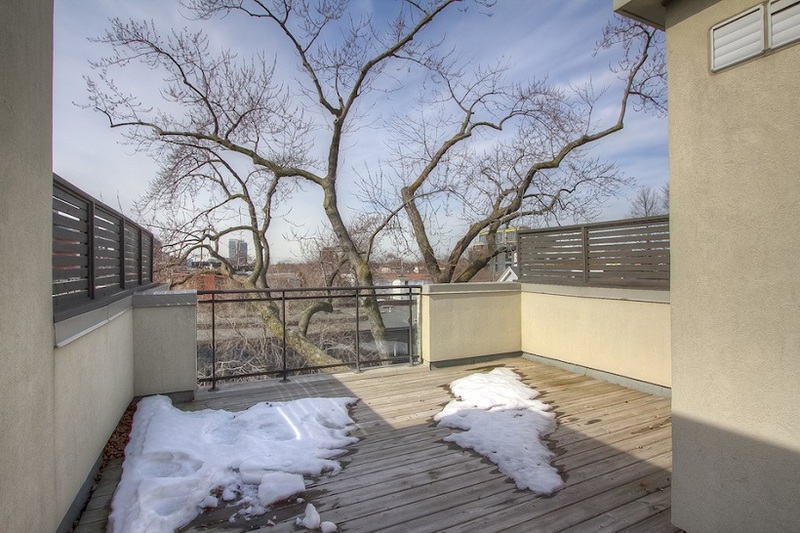 A contemporary city house only minutes to Trinity Bellwoods Park, shops and restaurants of Queen West and nightlife on Ossington Avenue. 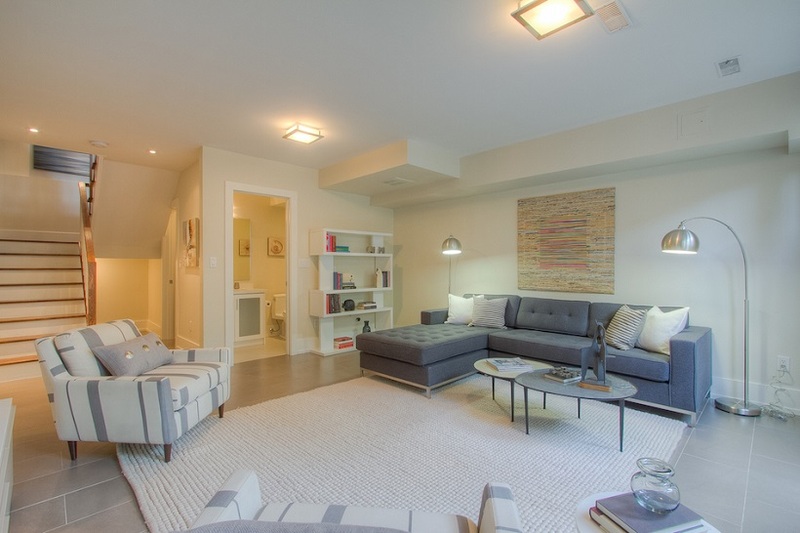 Approximately 2177 square feet of indoor living space, 358 square foot rooftop terrace and 77 square foot patio. 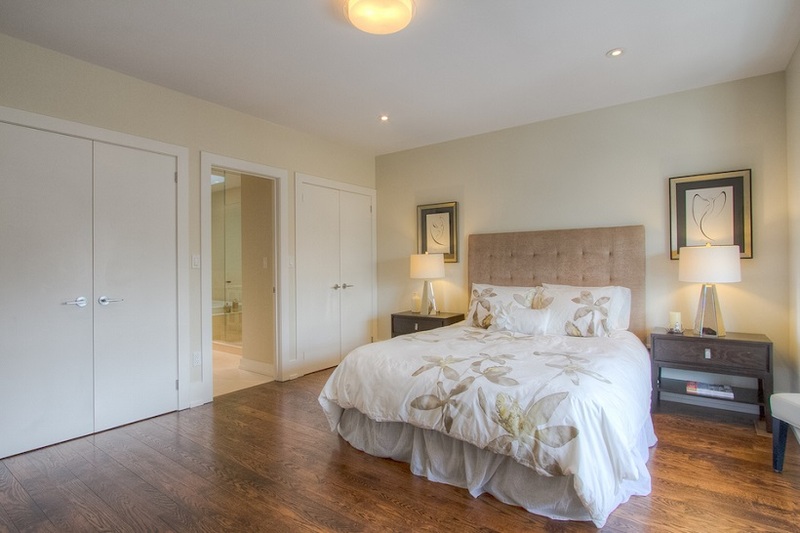 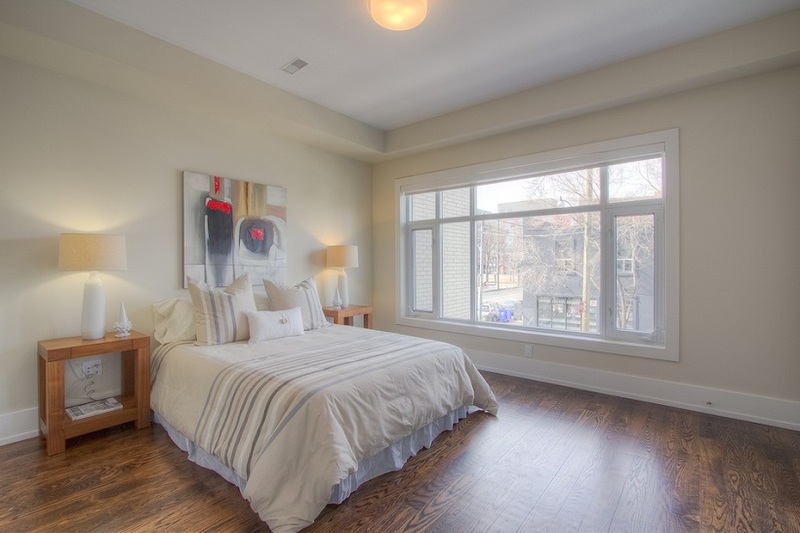 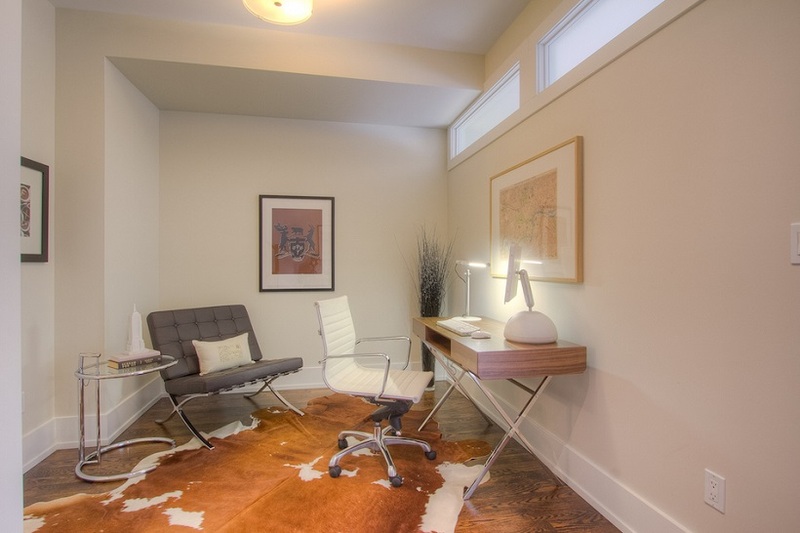 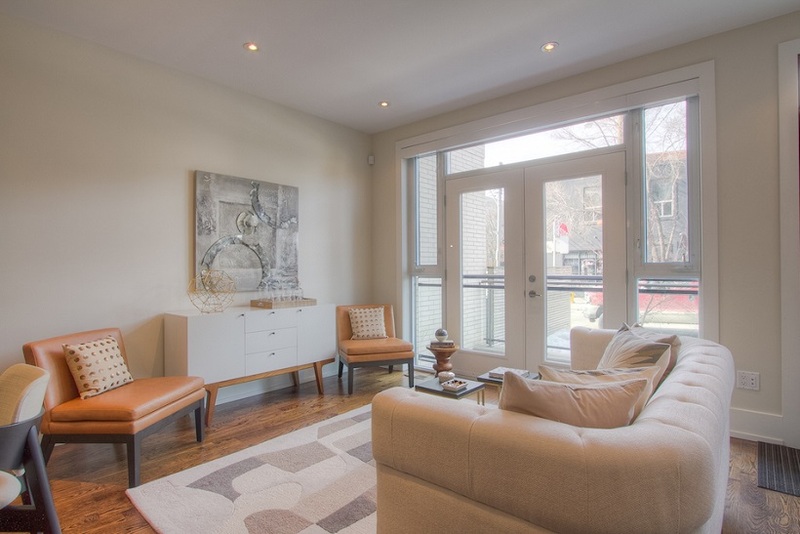 Featuring 2 bedrooms, 3 bathrooms, a den, family room, nine foot ceilings and hardwood floors. 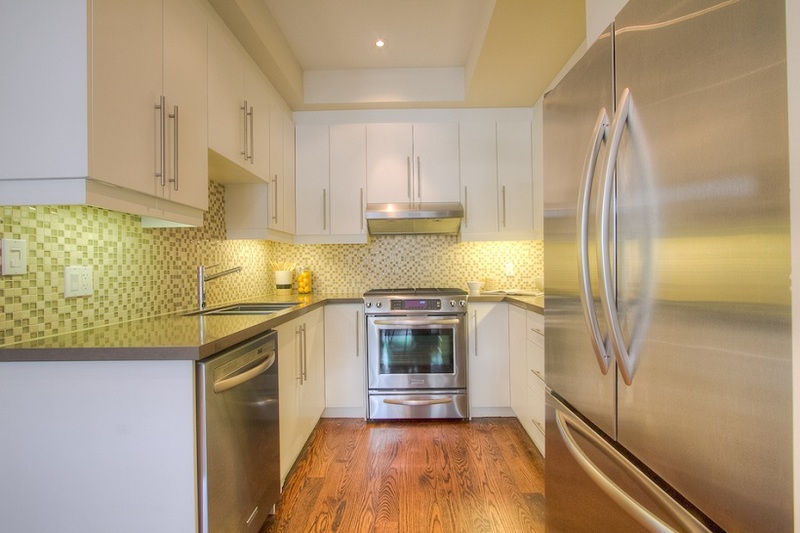 The modern kitchen showcases Caesar stone countertops, glass mosaic backsplash, upgraded stainless steel appliances, valance lighting and gas cooking. 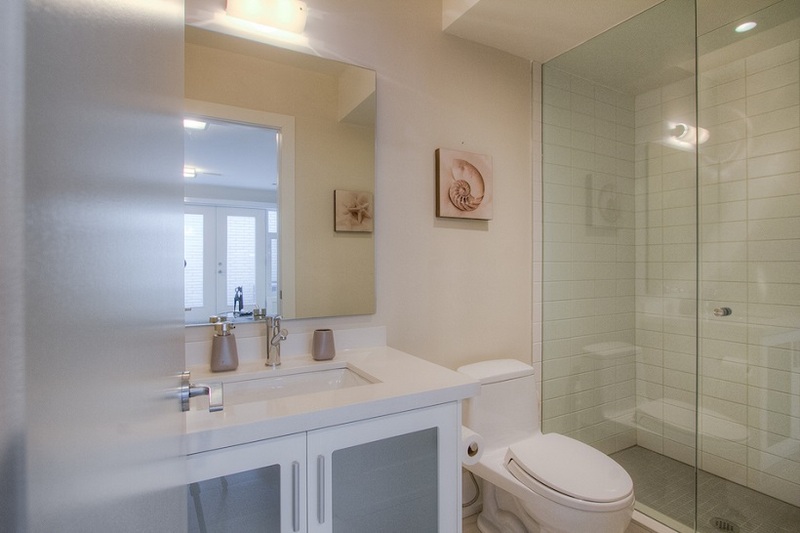 All bathrooms feature porcelain or stone tile, Caesar stone counters and frameless glass shower enclosures. 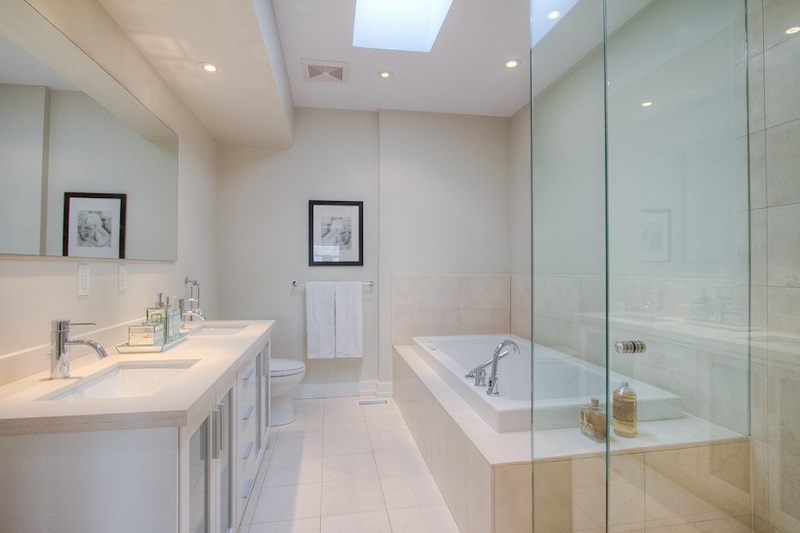 The handsome ensuite boasts double vanity + sinks, skylight, stone floor, spa-style soaker tub and separate shower with frameless glass enclosure. 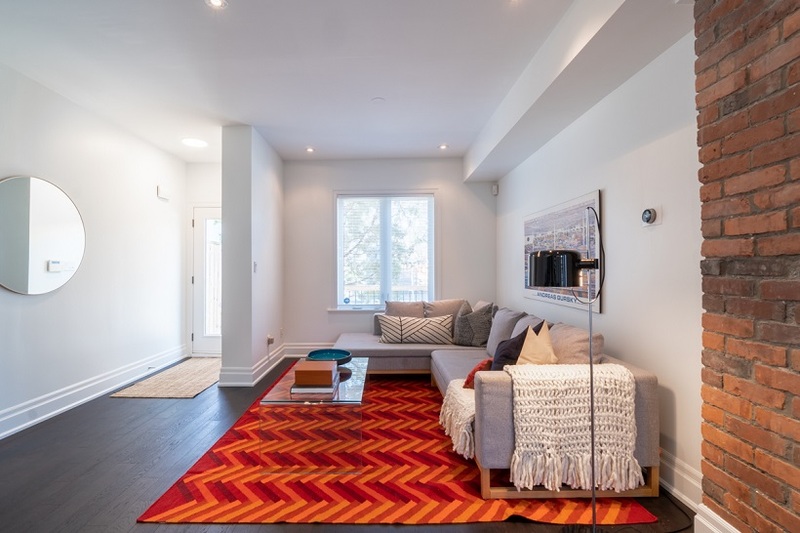 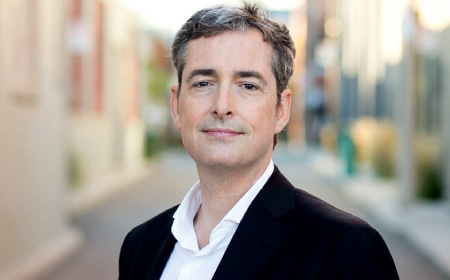 The upper floor features a kitchenette and walk-out to roof terrace equipped with water bib, natural gas connection for BBQ and electrical outlet. 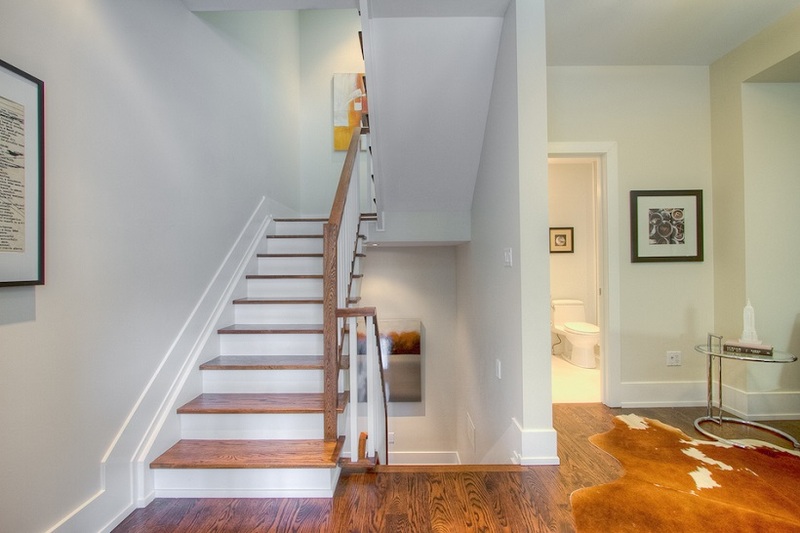 The lower level showcases porcelain floors throughout, a 3 piece bath and walkout to a small patio. 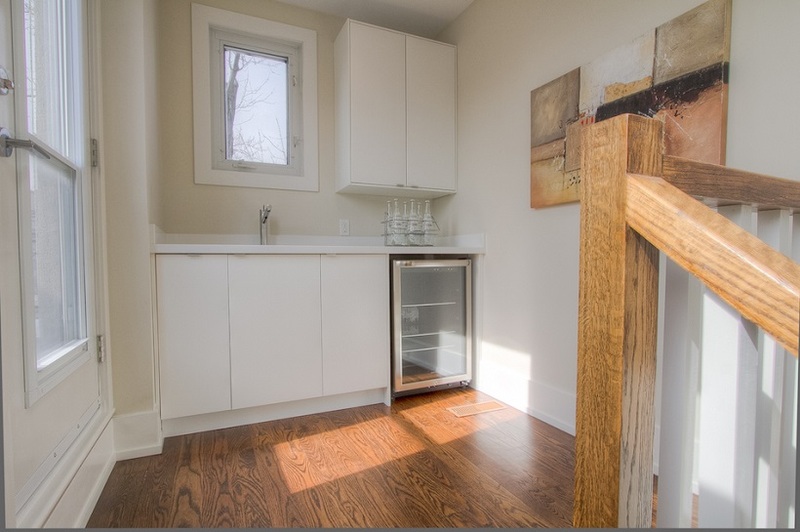 1 carport parking space and 1 storage locker included.